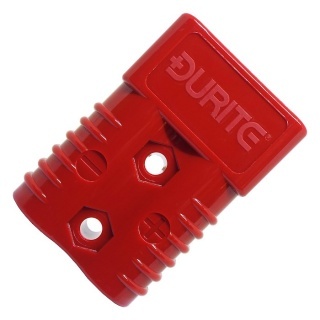 Durite 175A red battery cable connector. 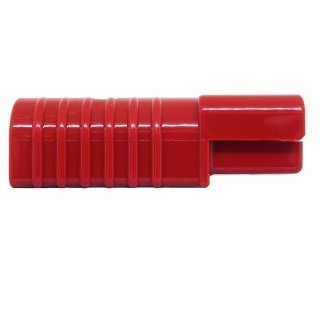 175 amp high current battery connector. 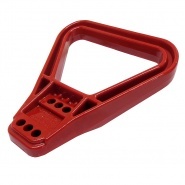 Red polycarbonate housing to denote a 24V dc supply. Silver plated solid copper terminals. Sold in single packs and bulk. The connectors are ‘genderless’ and are connected to each other by inverting one connector. They are colour keyed and cannot be mixed or interchanged with other colours. 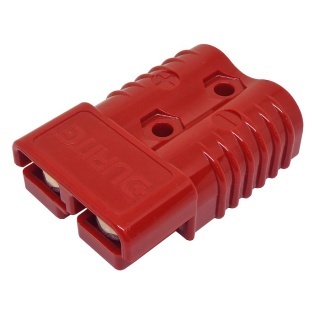 Used as a heavy duty battery cable connector, the Durite 175A connector when reversed connects into another connector of the same part number to create a secure connect and disconnect plug for chargers, they will stand up to rigorous use due to the sturdy terminal and housing construction. 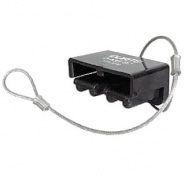 Typically used as a battery charger connect and battery disconnect plug on electric vehicles, the unit can also be used as a jump lead extension, usually found mounted into a breakdown vehicle front and rear to allow forward or rear jump starting without accessing the hood or battery station. A common question regarding this connector is does the unit require a different partner connector? The answer is a simple no; it is the same connector, rotated 180° (upside down) that you need. 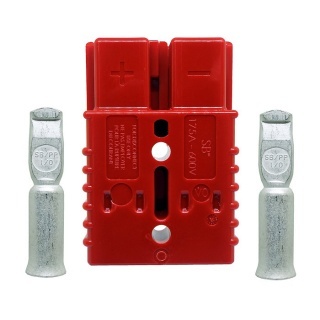 Two units for a simple battery cable split connector or three if a connection to a charger is required. 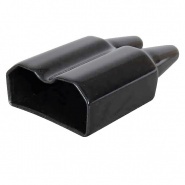 Cable exit PVC protective cover, for durite 175A connectors part number: 0-431-75 and 0-432-75.